Let me start by saying that I in no way wish to ruffle any 70mm fans feathers but I would like to enquire if anything has seriously been written (or websites) available for the DP75 projector that followed the DP70. 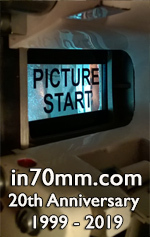 Let me state from the outset that as an amateur mechanical engineer and projectionist that I am full of admiration for the quality of machine produced in the DP70. However having recently been reacquainted with the DP75 machine I have to say that I have become very impressed with what must have been considered a very very radical departure in the design of a 35/70mm projector i its day. 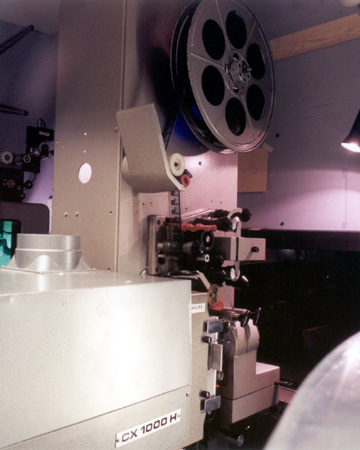 I was brought up using and learning about projectors made from several large heavy castings and with various precision appendages applied to move the film. I feel the design team for the DP75 must have gone right back to first principles of film projection in order to refine the science to what became the DP75 - and in my opinion succeeded. The fact that because even after 30+ years they are still in working situations really speaks for itself. Can anything be done to move the DP70 story onto the next chapter of its evolution with a sister website for the DP75? Whilst writing can you assist with any information as to where DP70 / DP75 machines can be obtained in the states and England?